Welcome to the August 30, 2017 edition of ACM TechNews, providing timely information for IT professionals three times a week. An international research team led by Nagoya University in Japan has devised a new technique for controlling the domain structure of ferroelectric materials, which could expedite the development of future electronic and electromechanical devices. "We grew lead zirconate titanate films on different substrate types to induce different kinds of physical strain, and then selectively etched parts of the films to create nanorods," says Nagoya's Tomoaki Yamada. "The domain structure of the nanorods was almost completely flipped compared with [that of] the thin film." Sections of the film were deliberately extracted to leave freestanding rods on the substrates, and the researchers employed synchrotron x-ray radiation to explore the domain structure of individual rods. The contact area of the rods with the substrate exhibited significant shrinkage and the domain properties were shaped more by the surrounding environment. The researchers say coating the rods with metal could filter out the effects of the air and help recover the original domain structure, as determined by the substrate. Researchers at Vrije University Brussel in Belgium, in collaboration with the European Union-funded Series-Parallel Actuators for Robotics (SPEAR) project, have designed self-healing soft robots made of flexible materials so they can grip delicate objects. The team employed Diels-Alder polymers to construct the machines, and developed three use cases of self-healing soft pneumatic actuators. The applications include a soft hand, a soft gripper, and contractive artificial muscles. The polymers can repair microscopic and macroscopic damage, first reasserting their original configurations and then healing thoroughly. The researchers say the damage the robots sustained in all three applications could be fully healed via a mild thermal treatment of 80 degrees Celsius (176 degrees Fahrenheit). The team observed no weak spots generated at the site of the scar, and actuator performances were almost entirely regained after every healing cycle. Researchers at Georgetown University have conducted a study whose results indicate a complex interplay of environmental, perceptive, and other factors is discouraging women from pursuing science, technology, engineering, and math (STEM) majors. "Only when women are in a male-dominated STEM field are they more responsive than men to the negative feedback of low grades," the researchers note. Georgetown professor Adriana D. Kugler cites "triple cues" telling women they do not belong in STEM. The study also does not support earlier theories that women graduate from high school with less STEM preparation, or that increasing female STEM faculty could help make mentors more available to women. In addition, the researchers found the framing of recruitment and mentorship often reinforces the concept of STEM as a masculine field. "The numerous government and other policy initiatives designed to get women interested in STEM fields may have the unintended effect of signaling to women an inherent lack of fit," Kugler notes. Computer algorithms tend to reflect biases inherent in the social data they are trained on, but Microsoft Research Distinguished Scientist and ACM Fellow Jennifer T. Chayes writes machine-learning algorithms can be designed to make fairer decisions than humans. Chayes says this can be done thanks to the increasing intelligence and teachability of computers, as well as the ethical views of algorithmic programmers. She notes a Microsoft Research/Harvard University team recently developed an algorithm that directly examines "protected attributes" such as race or gender at an intermediate stage, and generates decisions that are sometimes less prejudiced than human judgments. "The process of mathematically defining 'fair' decision-making metrics also forces us to pin down tradeoffs between fairness and accuracy that must be faced and have sometimes been swept under the carpet by policy-makers," Chayes says. "It makes us rethink what it really means to treat all groups equally--in some cases equal treatment may only be possible by learning different group-specific criteria." Researchers at the University of Washington have developed BiliScreen, an app designed to offer pancreatic cancer screening by having users take photos of themselves with a smartphone. BiliScreen detects elevated bilirubin levels in the white part of the user's eye by employing a smartphone camera, computer vision algorithms, and machine learning tools. 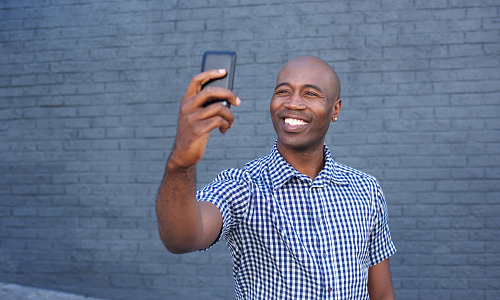 Using the smartphone's built-in camera and flash, BiliScreen collects images of a person's eye as they take a selfie. The computer-vision system then isolates the eye's sclera, and BiliScreen calculates the sclera's color information and correlates it with bilirubin levels via machine learning algorithms. The app correctly identified cases of concern in an initial clinical study of 70 people with 89.7-percent accuracy, compared to the blood test currently used. BiliScreen will be presented next month at the ACM International Joint Conference on Pervasive and Ubiquitous Computing (Ubicomp 2017) in Hawaii. Engineers at the Massachusetts Institute of Technology (MIT) say they have designed an autonomous robot equipped with "socially aware navigation," which can keep up with foot traffic while complying with general codes of pedestrian conduct. The robot's operation entails addressing the challenges of localization, perception, motion planning, and control. Open source algorithms map the robot's environment and determine its position, while off-the-shelf sensors solve the perception challenge and standard techniques for driving autonomous ground vehicles provide control. 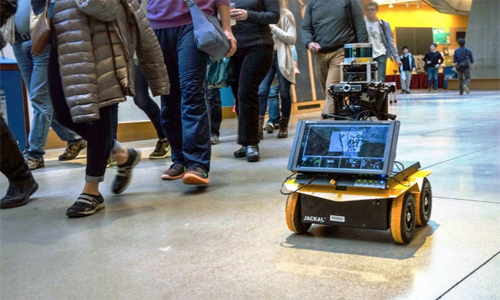 To solve the motion-planning dilemma, the researchers enabled the robot to adapt to unpredictable pedestrian behavior while constantly moving with the flow via reinforcement learning facilitated during offline simulations. The team also embedded social norms into this training stage using an encouragement/penalty framework. "We want it to be traveling naturally among people and not be intrusive," says MIT's Michael Everett. "We want it to be following the same rules as everyone else." The U.S. Defense Advanced Research Projects Agency's (DARPA) Harnessing Autonomy for Countering Cyber-adversary Systems (HACCS) program is gathering proposals for software that can automatically neutralize botnets. In addition, the HACCS program is looking for systems that can exploit vulnerabilities in compromised networks to shield them and make both state and non-state cyberattackers less effective. DARPA says the U.S. Department of Defense needs a way to launch an immediate response even if the owner of an aggressive botnet is not "actively participating in the neutralization process," because botnets can operate without the owner of that network being aware. Businesses awarded HACCS contracts also will devise ways of measuring the success of such solutions. The HACCS project also could focus on developing an autonomous system that can be educated to mimic the way human operators neutralize attacks in cyber exercises. Pennsylvania State University (PSU) researchers have developed an algorithm that analyzed the estimates of an agribusiness expert and helped a business division at an agricultural chemicals company improve its forecast accuracy, yielding a 2-percent to 3-percent profitability increase and a 6-percent to 7-percent reduction in costs. The researchers developed the computer model to estimate the risk associated with yield, then used a mathematical model to translate the quantile estimates into mean and standard deviation of yield. "The mean provides estimates for how many bushels the firm can expect on average, while the standard deviation captures the expected variability in the growth process," says PSU professor Saurabh Bansal. After comparing the historic data with the expert's predictions, Bansal says the program provided insights into the bias of the expert's mental models. He notes the technology enables company officials to compare and select experts and quantify how effective their training is for experts. A team of researchers at the University of California, Santa Cruz (UCSC) have received a $1.5-million grant from the U.S. National Science Foundation to develop the tools and techniques needed to understand large, complex datasets. The grant is one of 12 awards that make up the NSF's Transdisciplinary Research in Principles of Data Science project, whose goal is to support the development of small and medium-sized collaborative institutes. 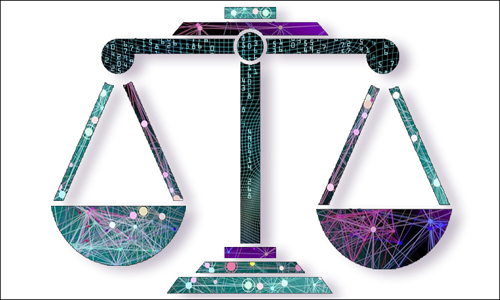 The UCSC project will address the challenges of incompleteness, uncertainty, and bias in large, heterogeneous sets of interconnected data. "Data now are interconnected in all kinds of crazy, complex ways, and we need new computational and mathematical tools to help us make inferences and find patterns in the data," says UCSC professor Lise Getoor. As part of the project, the researchers will develop a theoretical framework for "responsible data science," to address issues such as bias, fairness, privacy, and robustness. Researchers at the University of Technology Sydney (UTS) in Australia have developed SharkSpotter, a deep learning algorithm that can use real-time video footage streamed from aerial drones to detect sharks and alert swimmers. 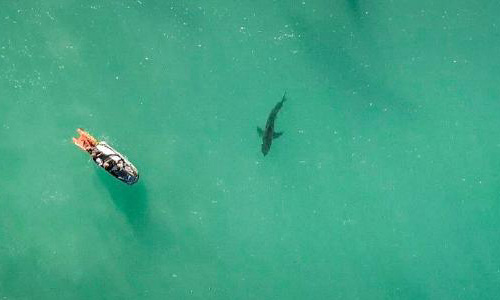 The researchers used known shark migration patterns, recorded sightings, and first-hand drone footage filmed over popular beaches to train the SharkSpotter system to detect sharks. They will deploy SharkSpotter drones across some of Australia's most popular beaches in September with the goal of developing a system that can save the lives and limbs of Australian beachgoers. The researchers say the algorithm is about 90-percent accurate in its ability to distinguish sharks from other marine life, marking a significant improvement over the human eye looking down from planes and helicopters. The drone system enables "a rapid response that can be done with less people," and could potentially save tens of thousands of dollars for governments and communities, says UTS professor Michael Blumenstein. Physicists worldwide are investigating real-world implementations of quantum-mechanical technologies, and University of Maryland professor Jonathan Katz writes that he and other researchers are seeking to understand how such technologies can be used to advance computing and cryptography. Katz notes quantum bits (qubits) use the quantum-mechanical property of entanglement, which means operations performed on a single qubit can simultaneously affect multiple other qubits. "This property--akin to, but not the same as, parallel processing--can make quantum computation much faster than in classical systems," Katz says. He also notes quantum computers could rapidly crack the math problems underlying all public-key cryptography systems, which means a large-scale quantum system would wholly compromise the Internet's security. Katz says cryptographers are exploring the leveraging of quantum mechanics to design cryptosystems that have better security to some degree than classical systems. Challenges Katz says must be met include getting quantum systems to function over large distances. The University of Arizona (UA) is one of four institutions selected by the U.S. National Science Foundation to receive funding as part the Hispanic Serving Institutions initiative in Congress' 2017 Omnibus spending bill. As a $100,000 host award recipient, UA will invite thought leaders in science, technology, engineering, math (STEM), and education to the university on Nov. 18-20 to discuss, brainstorm, and debate critical challenges and opportunities regarding undergraduate STEM education at Hispanic Serving Institutions (HSIs). In addition, the conference will serve as a platform for new and stronger institutional collaboration between UA and other HSIs. "The UA is proud to serve the Hispanic students of Arizona and our region, and this grant will help ensure that we are creating an environment that enables their success in vital STEM fields," says UA president Robert C. Robbins. Researchers at the Massachusetts Institute of Technology's (MIT) Computer Science and Artificial Intelligence Laboratory have developed Interactive Robogami, a system that lets users quickly design a robot, and then three-dimensionally print and assemble it in as little as four hours. The system enables designers to determine the robot's movement and shape, a capability that is often separated in design systems. "What's exciting here is that we've created a tool that allows a casual user to design their own robot by giving them this expert knowledge," says MIT's Adriana Schultz. Interactive Robogami uses simulations and interactive feedback with algorithms for design composition, enabling users to focus on conceptual design. The system ensures a design is possible, analyzing factors such as speed and stability to guarantee the robot can function. "This tool enables rapid exploration of dynamic robots at an early stage in the design process," says Disney Research's Moritz Bacher.